Capacity controls are valves set to modulate how often a system cools based on pressure. These controls work off the Guy-Lussac’s gas law that pressure and temperature are directly related to each other (i.e., if the temperature rises, the pressure rises; and if the temperature drops, the pressure drops). These capacity control valves can be set to introduce hotter gas from the line exiting the structure (discharge line) into the line entering the structure (the suction line) to increase pressure when the valve senses the pressure dropped too low. Because the valve exchanges between the two lines, the compressor is to varying degrees “bypassed” so that the system’s capacity is lowered to match the load (i.e., it doesn’t cool as much when it isn’t necessary). This capacity control is often termed “hot gas bypass” because of the exchange between the two lines. Rawal valves are yet another type of valve for controlling capacity and, when properly installed, is one of the better capacity controls available. is one of the only Rawal certified installers in the DFW area. Rawal valves extend the compressor’s run time, thereby yielding potential energy savings (up to 12%), less wear-and-tear, and less humidity in the building.  At , our team of highly trained service technicians is available 24/7 to ensure your system is repaired quickly and correctly. We pride ourselves on giving quality service that is focused on ensuring longevity of the whole system, optimizing efficiency, and centering on the source of the problems versus only alleviating symptoms. Much like a doctor, we want to treat what’s causing the fever rather than only treat the fever. We also understand how precious keeping a business in operation is. Thus, if something goes wrong, we will work with you to get the problem resolved so that “down-time” is kept to a minimum. If, worst case scenario, the capacity control needs replacing, our team will work diligently to ensure the process is as flawless and as quick as possible. For any issue, has access to a vast network of distributors for parts and equipment (including those hard to find). Keep your system performing at its optimal level and help ensure its long life by having it properly maintained. This preventive maintenance keeps the system operating at peak efficiency, minimizes unnecessary repairs and down-time, and helps keep energy costs low. This service keeps your system clean and in good working order. It also helps prevent smaller problems from becoming larger, more costly problems. Call us today at (214) 467-2653 if you have any questions about capacity controls and/or are having issues with your system.